The PASMA towers for users training course is to provide anyone who is responsible for dismantling, altering, inspecting or moving mobile access towers with an understanding of how to carry out these procedures safely, without the risk of personal injury to the delegate or his workmates. PASMA (Prefabricated Access Suppliers and Manufacturers Association) is the leading industry body for all matters relating to mobile access towers in the UK. At the end of the PASMA for towers theory session you will take a short theory test which, if you pass, will allow you to take the practical session in the afternoon. 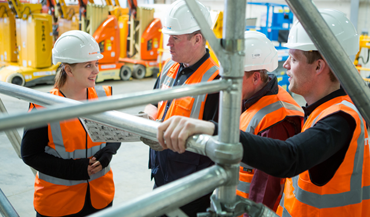 A practical assessment will follow, which, after successful completion will entitle you to a PASMA certificate and photo card valid for five years. PASMA (Prefabricated Access Supplies and Manufacturers Association) is the recognised focus and authority for mobile access towers. A booklet containing notes and course content will be issued to all delegates together with a current code of practice booklet. Personnel who will be responsible for the safe assembly, dismantling, altering, moving and inspecting of mobile access towers. 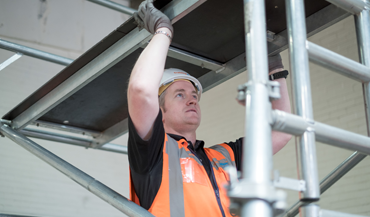 No formal qualification or experience is necessary, but it would be beneficial if delegates had a basic understanding of working at height regulations and health and safety act 1974. PASMA (Prefabricated Access Supplies and Manufacturers Association) is the leading industry body for all matters relating to mobile access towers in the UK. All members offer equipment that meets the current British European Standard BS EN1004:2004 and their equipment carries the British Standard Kite mark or equivalent mark of approval. What should I do if my PASMA membership card is lost or stolen? If you have been trained via Training Plus and have lost your PASMA card or had one stolen you must contact us and we can arrange a replacement sent. There will be a small fee applied by PASMA to incorporate the administration charge. You will be required to provide proof of identity. What happens when my PASMA card expires? After five years you will need to re-sit a written and practical test. Upon completion you will be re-issued with a competency certificate and encapsulated credit card sized photo which grants you membership for another five years.